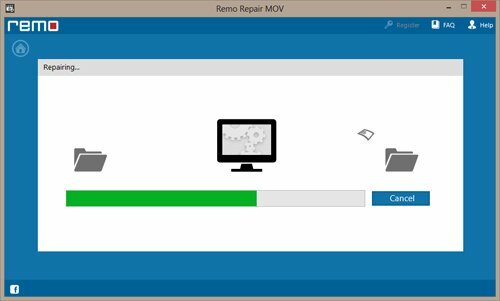 Video Repair Software is a fast and powerful tool for DivX error repair. It is extremely safe utility for repairing DivX files. This effective DivX error repair tool creates a new repaired file without damaging the original file. It is an excellent tool to repair corrupted video files in an effective way. This efficient software has ability to error repair DivX. It also support other video file formats like MPEG-4, AVI, MOV, XVID etc. It also has ability to perform DivX error repair on both Windows and Mac OS. This tool has strong repairing algorithms that help you in repairing DivX errors. It is user friendly that helps you how to repair Divx error without any technical guidance. It repaired audio and video streams side by side. This application supports devices like hard drives, USB drives, memory cards etc. 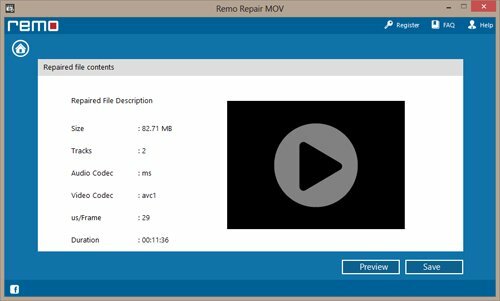 This advanced tool can also be used to repair movie maker file. After repairing DivX error, its advanced “Preview” potion enables you to view the repaired file before storing it back your desired location. Apart from these advanced features, it is most commonly famous among experts as well as professional to repair XVID AVI file with ease. So if you want to fix your damaged XVID AVI file, make use of this advanced utility. To known more about how to repair damaged XVID AVI file, Visit: www.videorepairsoftware.com/xvid-avi-file.html . Step2: Now you can see the repairing process as shown in Figure 2. Step3: Once the repair process is completed, you can use “Preview” option to view repaired DivX video before restoration as shown in Figure 3.